Tutubi has been tagged several times by the meme "the face behind the blog" but he turned it down each time since he doesn't do memes unless it's related to the theme of this blog, besides his preference to make this blog a "faceless" one. It's probable that tutubing karayom is the Filipino word for damselfly. Damselflies and dragonflies, according to ecologists, are nature's best predator of disease-carrying mosquitoes. 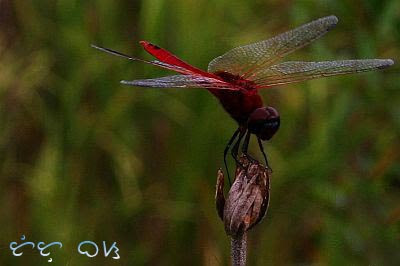 The main difference between a dragonfly (Suborder: Anisoptera) and damselfly (Suborder: Zygoptera) is that a dragonfly at rest holds its wings away from its body, while a damselfly holds its wings close to its body. Dragonflies are generally stronger and more robust than damselflies. They are also fast and agile fliers while damselflies have slender bodies and a weak, hovering flight. Damselflies' eyes are well separated unlike those of dragonflies. 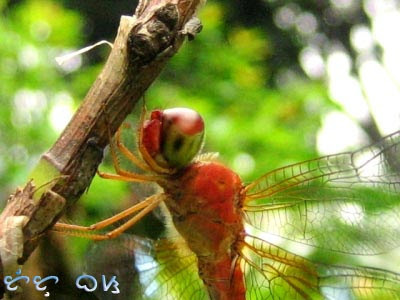 Dragonfly in different languages: Tutubi in Filipino (now you know what Tutubi means), 蜻蜓 in Chinese, Libelle in German, libellule in French, 잠자리 in Korean, libélula in Spanish, トンボ in Japanese/Nihongo, and libel in Dutch. 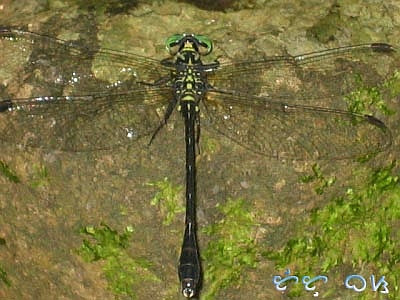 They have been known to exist for over 300 million years, spend only a very short part of their life span as actual dragonflies, living as nymphs for up to four years, shed their skin up to 15 times, and survive only for a few months as mature adult dragonflies. Scientific names of the above species to follow since Tutubi doesn't have reference materials to identify the dragonfly species' featured here. Great to meet the family! Nye! Kala ko si Tutubi The Blogger na talaga ang nasa picture. You got me there. Hahaha! Ayus ka rin ha. Yung 2nd to the last nga yung best shot mo, kaya pala avatar mo sya. Haha! I thought you were really going to show your face! 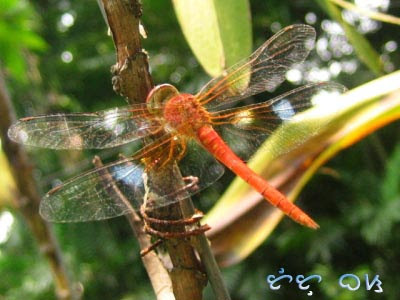 But nevertheless, I like the dragonflies; maganda! 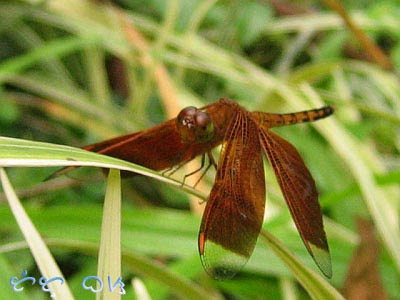 these are the larger type of dragonflies. proud to say as a kid, i've held them all in my hands, even the blue ones that you didn't include here. they say the blue ones are the fastest-moving and difficult to capture.